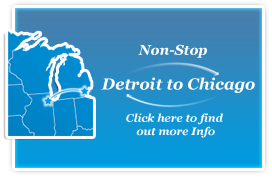 At Professional Movers.com we have the global capabilities to offer Michigan residents with cross border relocation to Canada. This page is designed to help you better understand your responsibilities, the documentation you may need and some of the things to expect once you arrive at Canadian Customs. Your Professional Movers.com driver will make arrangements to meet you at the Customs office closest to your delivery address. If you are not present to clear Canadian Customs, the goods will be “held in bond” by Customs. Check with Canadian Customs concerning the import of food, liquor, tobacco, pets, plants and firearms. Prohibited items include: protected wildlife and any goods made from endangered species, explosives, ammunition, fireworks and pyrotechnics. Do not include any food or beverages in your shipment as they may cause delays in clearing your shipment through Canadian Customs. Copy of vehicle registration/title must be presented to customs 72 hours prior to the vehicle entering Canada. The original registration/title must be given to the Professional Movers.com driver at the time of loading. Depending on your port of entry, requirements for documentation may vary. Duties and taxes may be assessed on your vehicle. We recommend that you contact Canadian Customs prior to shipping or driving your vehicle to Canada.